I was flipping through some old (scanned) pictures from the prehistory of my archaeological past and thought you might enjoy these. 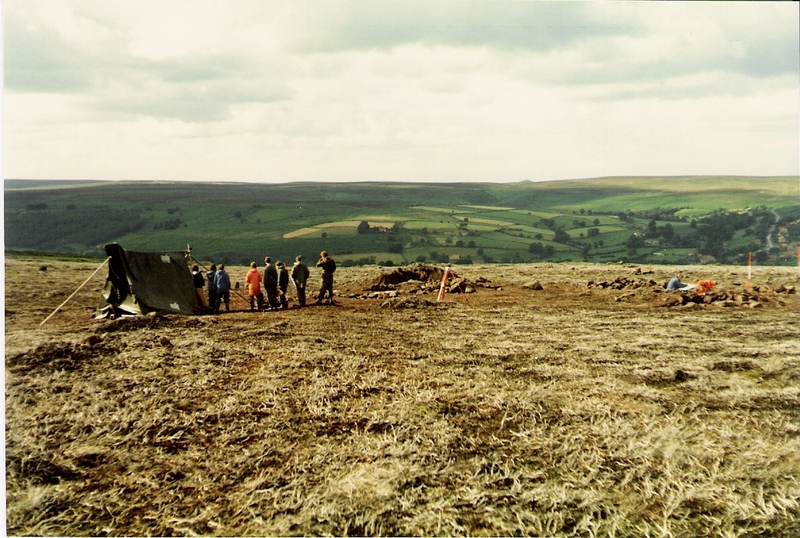 It’s 1986 throw-back time, the second season investigating the Bronze Age upland landscape on Danby Rigg in the beautiful Esk valley on the North York Moors. The Bronze Age triple dykes subsequently radiocarbon dated to the Viking period, which was a surprise. 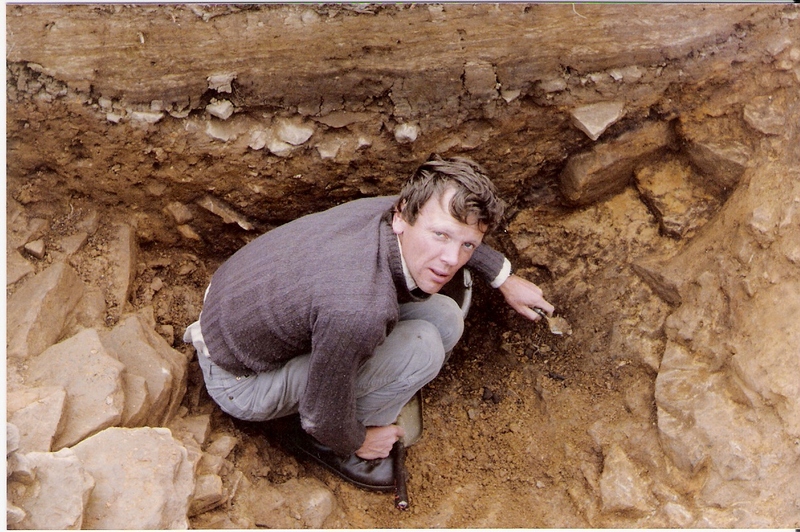 The Durham University project included re-examination of a Bronze Age ring cairn with a large monolith, proving it to have at least one cremation burial. 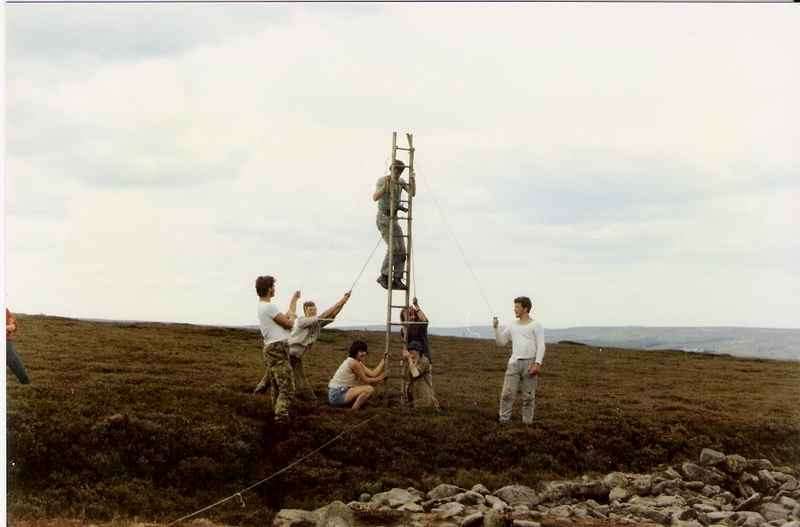 The landscape survey plotted the entire network of field systems and cairns hidden under the heather—certainly one of the most comprehensive surveys of its kind in north-east England, and executed before the advent of GPS or Total Station technology, but we did have an EDM. This was all dumpy level and back-sighting. I’m proud to be able to set up a theodolite in five seconds, while sleeping! 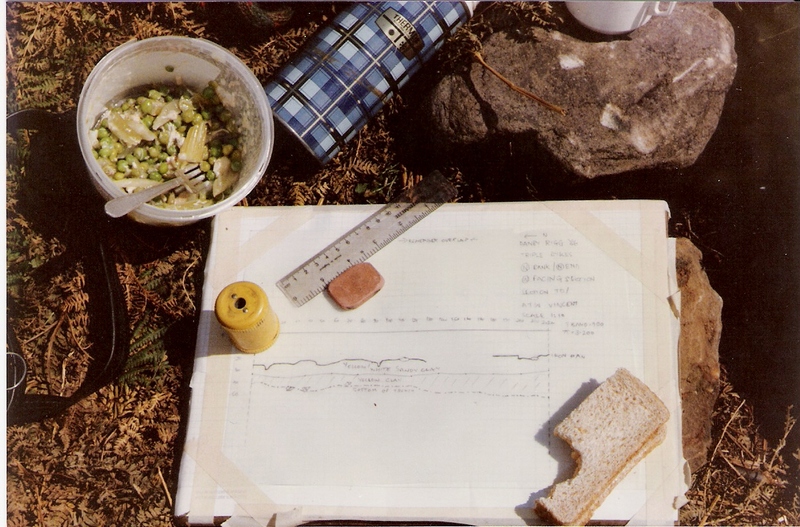 There is a tenuous Mesolithic connection in that, on the long walk up to the moor each morning, Microburin discovered a small Mesolithic assemblage at relatively low altitude. It included some blades and a scraper with edge gloss from processing plant materials, but no microliths. A large Mesolithic core was, inevitably, lying at the bottom of the deepest Viking ditch (residual). It’s a bit like the “token” sherd of Roman Samian Ware (posh dinner service crockery) found most other places, no matter what period you’re digging. Harding, A., Ostoja-Zagorski, J. 1994. 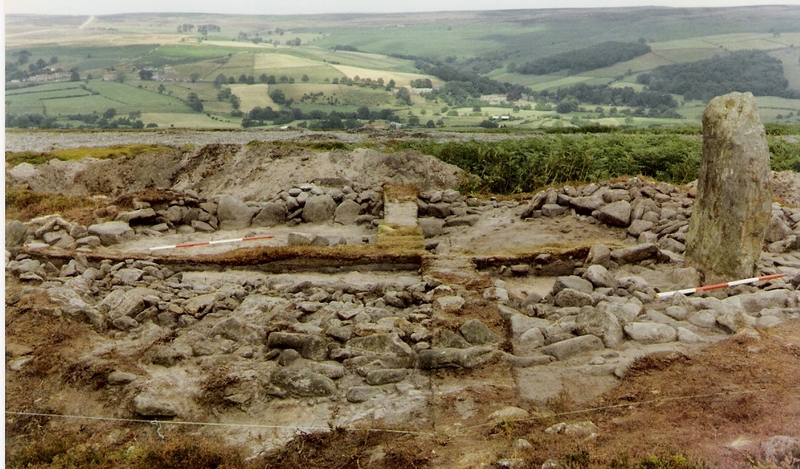 Prehistoric and Early Medieval Activity on Danby Rigg, North Yorkshire, Archaeological Journal 151, 16-97. The plans and sections are mostly mine, but some cheeky rascal got the credit.